RIYADH, Saudi Arabia — Saudi Arabia's unprecedented anti-corruption sweep that saw top princes, businessmen, military officers and officials detained at the Ritz-Carlton hotel has concluded after netting the government around $106.6 billion, the Royal Court said Wednesday. The sweep, which began the evening of Nov. 4 2017, helped cement the crown prince's powerful status. 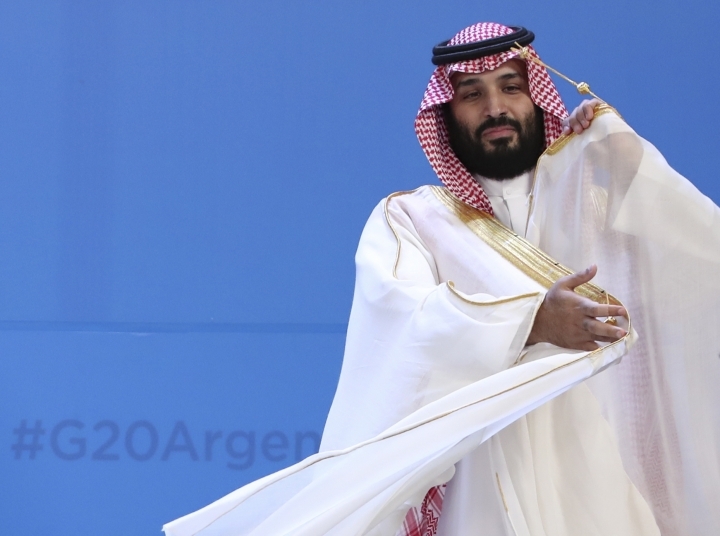 Analysts and critics said it was also a way for the prince to sideline potential rivals and consolidate power as he prepares to inherit the throne from his father, King Salman. Among those held was billionaire Prince Alwaleed bin Talal, who was detained for more than 80 days at the Ritz-Carlton in Riyadh before his release. Also, held were the sons of the late King Abdullah, including Prince Miteb who'd commanded the National Guard and was once seen as a contender for the throne. There were also current and former ministers rounded up and billionaire businessmen like Bakr Binladin, chairman of the kingdom's pre-eminent contractor the Saudi Binladin Group that had secured a near-monopoly on mega-expansion projects in Islam's two holiest sites, Mecca and Medina, throughout the reigns of successive Saudi monarchs. Guards were positioned outside the detainees' hotel rooms, where some had access to room service and satellite TV. Others were reportedly abused, and many were placed under travel bans after their release. Then, in May of last year, more than a dozen women's rights activists and their supporters were arrested just before the kingdom lifted its ban on women driving. Some have reportedly been water-boarded, lashed, sexually assaulted and electrocuted. Before his killing, Khashoggi had written critically of the crown prince's crackdown on critics in columns for The Washington Post. The U.S. Senate has blamed the killing on the crown prince. The kingdom, however, denies he had any role.